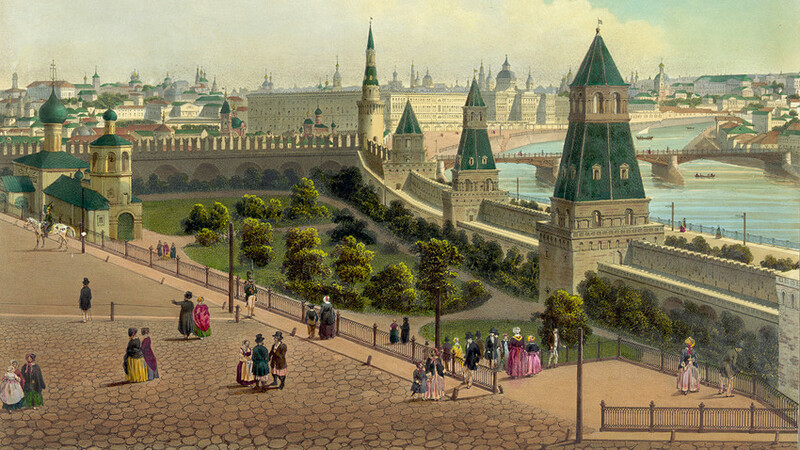 The Moscow Orphanage (from a panoramic view of Moscow in 10 parts), ca 1848. Benois, Philippe. Already known in their homelands, this trio of outsiders soon made their mark in Russia and as a result wrote their names into the history books. General Patrick Gordon. Unknown artist, XVIII century. State HIstorical Museum, Moscow. A descendant of one of Scotland’s oldest clans, Patrick Gordon, was asked to join the Russian military service in 1661, after being recognized for his prowess in battles against Russia in the Russian-Polish War. By 1687, he was a general in the Russian army. But it was his friendship with Peter the Great that made Gordon even more famous. In 1689, when Peter decided to wrestle power from his elder sister Sophia, Gordon was serving under Vasily Golitsyn, Sophia’s right hand man. But when Peter summoned all the foreign military commanders to support him against his sister, Gordon, acting without Golitsyn’s consent, gathered his troops and joined the young tsar. The Streltsy (Russia’s Royal Guard) was reluctant to oppose Peter because Gordon’s soldiers were too strong. So, with Gordon’s help, Peter overthrew his sister without serious bloodshed. Forty years his senior, Gordon was highly respected by Peter. He was the first foreigner in Russian history to whom the Russian tsar paid a private visit - in 1690, when 18-year-old Peter came to Gordon’s house in Moscow’s German Quarter for a chat (and probably a jug of beer). Gordon became Peter’s mentor in military affairs. He trained soldiers of the Preobrazhensky and Semenovsky regiments founded by Peter and they became the most experienced troops of Russia’s army. Gordon also introduced regular military exercises in gunnery, military engineering, field fortification, and military formations. In 1694 he planned and carried out a major military exercise near the village of Kozhukhovo (now inside Moscow) that proved new European-style regiments were much better in battle. 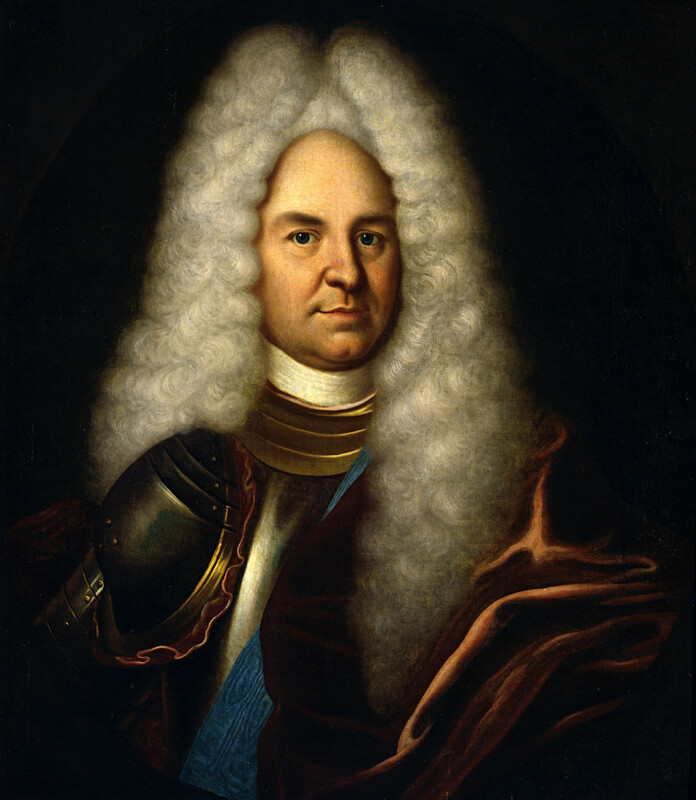 Gordon, who lived in Russia until his death in 1699, laid the foundation of the new Russian army that soon became the strongest in Europe and defeated Sweden in the Northern War in 1721. He also left behind a diary - a priceless military history source from the 17th century. A princess of a noble European clan, Sophie of Anhalt-Zerbst, was chosen by Russian Empress Elizabeth to become the wife of Karl Peter Ulrich, Elizabeth’s nephew and heir to the Russian throne. For Sophia, Russia did not appear to have a bright future. When, in 1744, she packed her things she even took a copper jug - she wasn’t sure if jugs existed in “barbaric” Russia. Soon after the marriage, Sophie (Catherine after baptism) learned that her husband preferred military drills to spending time with her. Peter was also indifferent to his responsibilities as an emperor, which angered the court and highest officials. On the contrary, Catherine started learning the Russian language and culture, determined to get to know the country better. She may have been educated and delicate but Catherine was no angel - evidence suggests she plotted her husband’s murder to get to the throne in 1762. As a foreigner, Catherine had to please the nobility so she implemented her husband’s law that freed Russian nobles from compulsory service to the state - for the first time since Peter the Great who originally introduced the rule. Unlike her husband, Catherine was very enthusiastic about state administration. Many of the institutions and measures she introduced shaped Russia up until 1917. Catherine divided the country into governorates and liberated private enterprises (which lead to a significant increase of plants and mills). She ruled along the lines of “enlightened absolutism,” wrote plays and authored Nakaz, a political instruction compiled from the works of the Lumières. 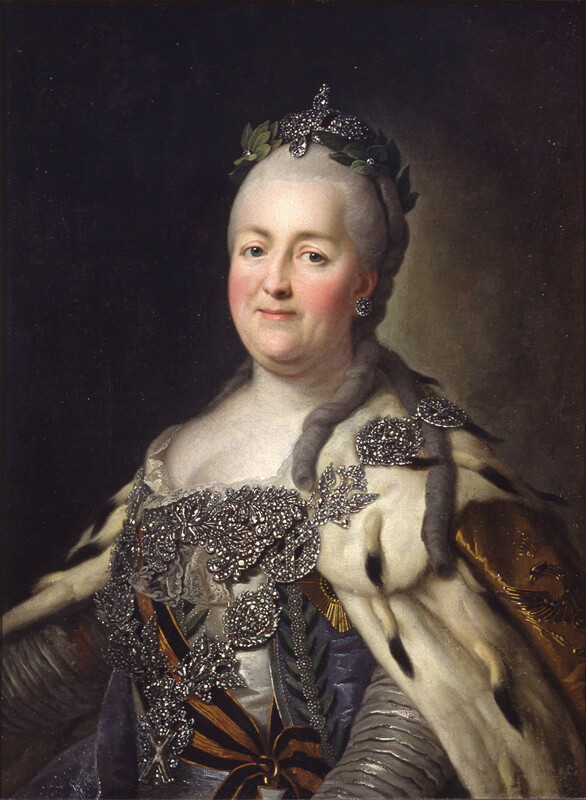 Catherine II in her later years. Her internal policy was far from successful though, leading to an economic crisis and famine, which triggered the massive peasant revolt lead by Yemelyan Pugachev. But Catherine managed to increase the country’s territory (Crimea being the most famous win), restructure the fleet, and stimulate international trade. 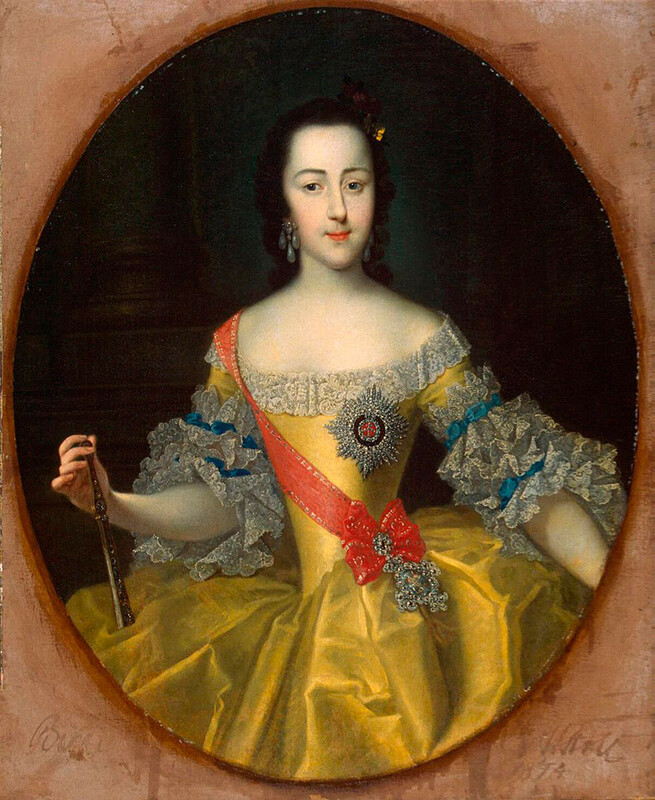 During her reign, Catherine emphasized her love for Russia She looked and behaved like a local, and even adopted some Russian royal habits like falcon hunting. She also grew fond of Russian men - it’s no secret that Catherine had numerous lovers and fiancees, and several children born out of wedlock. 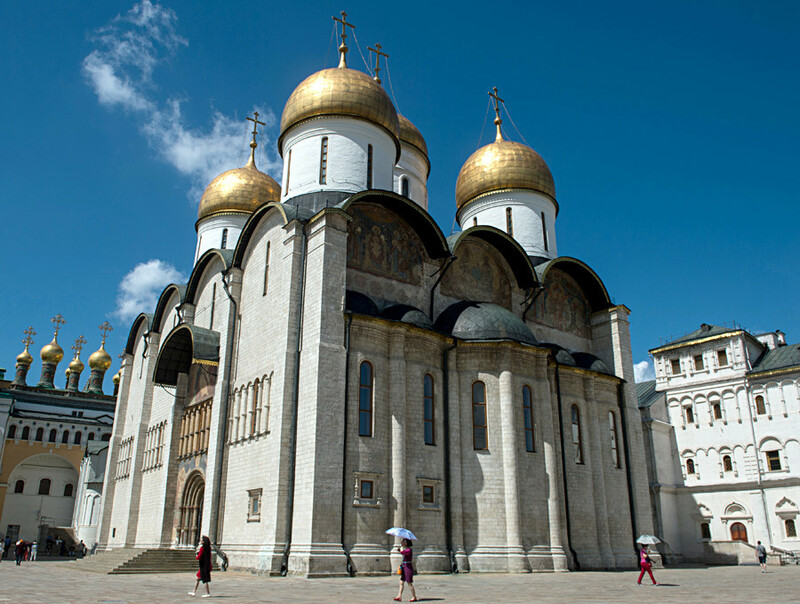 The Dormition cathedral on the Moscow Kremlin Cathedral square. Born in Palermo around 1415 into an architect’s family, Aristotele Fioravanti restored buildings and created canals and floodgates. He was famous in Italy and was frequently invited to oversee construction works. But in 1473 he was struck down by bad luck: he was accused of forging money and although later all the charges were dropped, Fioravanti was already deprived of his honorary titles - and credibility. Meanwhile, a disaster struck Moscow: The Dormition cathedral in the Kremlin collapsed due to an earthquake. Ivan III, Muscovy’s Great Prince, ordered his envoy to find a European architect to fix the problem. Fioravanti quickly agreed, attracted by a lucrative sum of money. Upon arrival, Fioravanti discovered the cathedral collapsed because of low-quality bricks and cement. Fioravanti founded a new brick plant in Moscow, producing bricks using his own technology. Aristotele also founded the cathedral on wooden piles and improved the overall structure of the building. The cathedral was completed in four years and was so sturdy that the first restoration was carried out 400 years later, at the end of the 19th century. View of Kremlin churches and towers from Moscow River Bridge. Another of Fioravanti’s feats is less known. 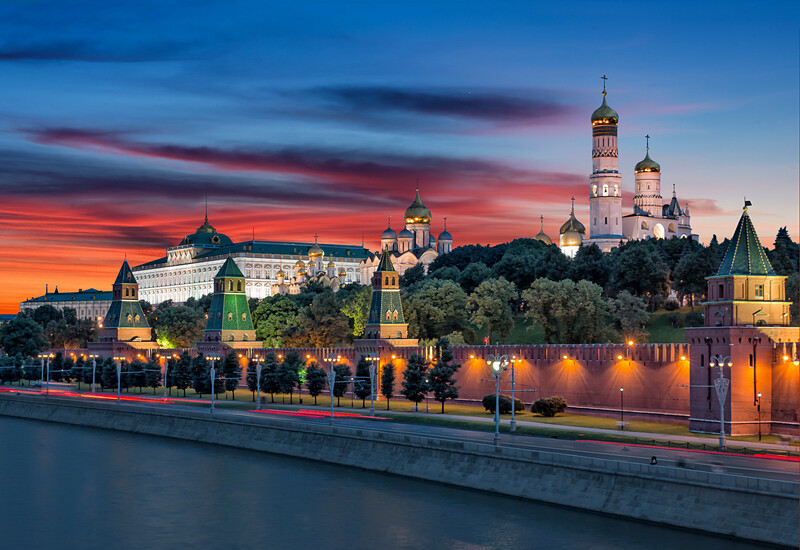 In 1485, the renovation of Moscow’s old white stone Kremlin had begun, and given Fioravanti was the only fortification expert based in Moscow at the time it’s almost certain he devised the masterplan for the new fortress. Moreover, the peculiarities of the Kremlin walls’ construction clearly indicate they were done by an Italian architect - much like Castelvecchio in Verona. 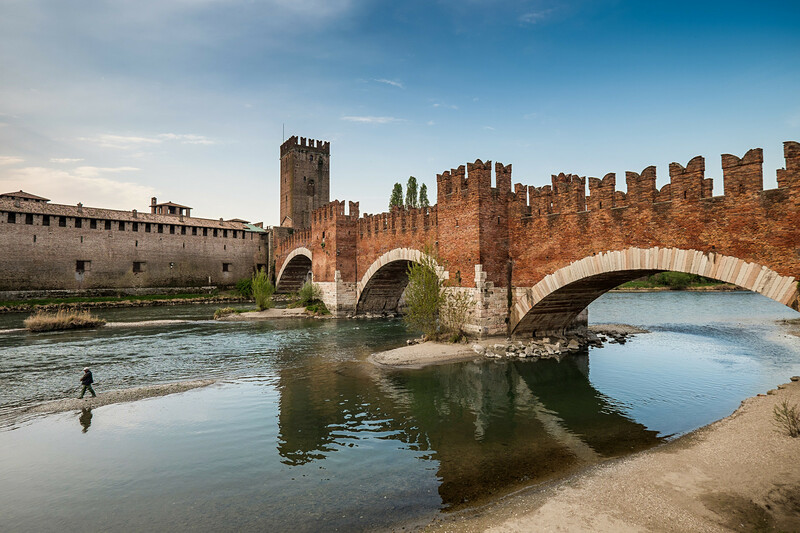 Castelvecchio fortress in Verona, Veneto. Later, Fioravanti worked as a military engineer under Ivan III, building bridges and supervising the artillery during campaigns. He is last mentioned in Russian chronicles in 1485 and apparently died in Russia at the age of 70 - by standards of the 15th century, he lived a long life. For a story of another foreigner in Russia whose fate was far from lucky, read about Russia’s ‘Man in the Iron Mask’, or you can check out how much Russian blood actually ran through Romanovs’ veins. Or, for something contemporary, look at the new faces of modern Russia.